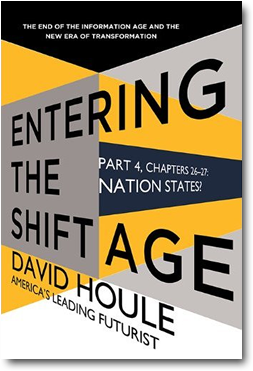 eBook 12 discusses the changing and declining influence of nation states as it pertains to the global stage of human evolution. Nations will continue but the Flow to Global will lessen their power and separateness. The Shift Age will be the greatest time of human migration in history.